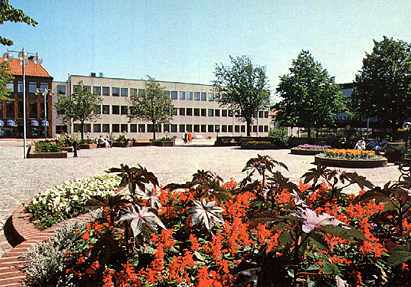 The Rörbäckska square with City Hall. (as a postcard, NOT by the place)! The function to send postcard has been temporarily removed.